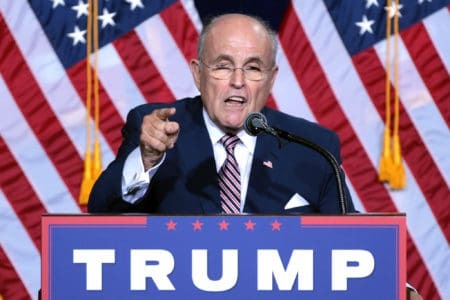 Speaking to the Times and NBC journalists on Sunday, President Trump’s lawyer Rudy Giuliani admitted that Trump had been involved in a deal to build a Trump Tower in Moscow, “up to as far as October, November” or even up until the presidential election. The admission directly contradicts public comments both Trump and Giuliani have previously made on the sequence of events. The New Yorker reported that in the same conversation, Giuliani suggested that the president may have conversed with his former lawyer and fixer Michael Cohen before he testified to Congress on the deal. He also suggested that Trump had revealed this information to special counsel Robert Mueller in his written answers to Mueller’s questions. But in his attempt to walk the comments back, Giuliani appears to have inadvertently revealed more information.